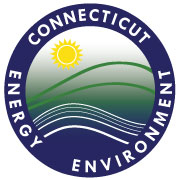 The purpose of this fieldtrip is to demonstrate some of the important geologic deposits and features formed in Connecticut during the Quaternary Period, which includes the Pleistocene (glacial) and Holocene (postglacial) Epochs. The Quaternary Period was the time of development of many details of the landscape and of all the surficial deposits, which are of pervasive importance to the present occupants of the land. This fieldtrip examines glacial features and landforms and their internal structure in the central Connecticut towns of Glastonbury, Rocky Hill, Portland, Middletown and New Britain.